Sneaky little Hobbitses, they stole the Precious and hid it under their nasty stoveses. I couldn’t have orchestrated this if I’d wanted to. 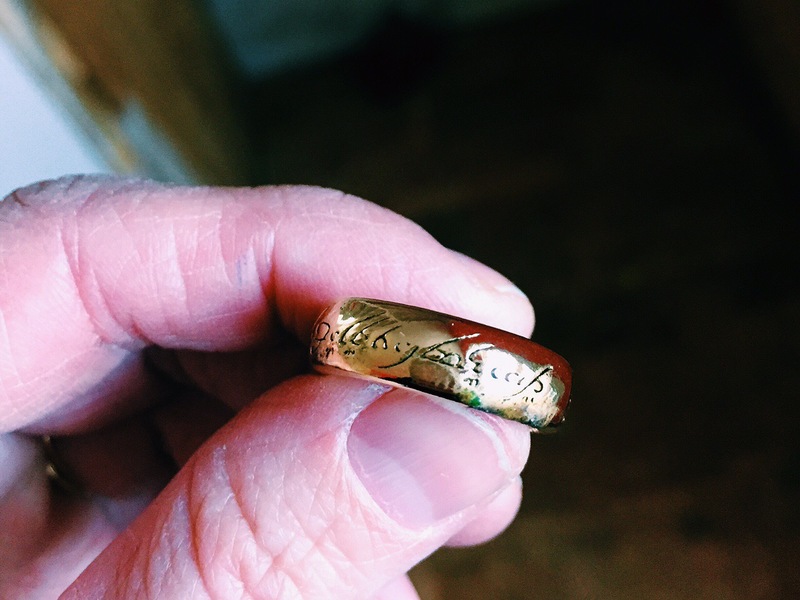 Deep in the dust and debris beneath the stove, I found the ring. It was a little creepy, I have to admit. And for two and a half thousand years, the ring passed out of all knowledge. Until, when chance came, the ring ensnared a new bearer. Ahem. Ha ha. It’s just a story, right?